For less than $10 I call this a very good day indeed! It will look slightly better after I clean it up a little. Factory test sheet! I have never seen one before. These are the Triumph's first words! I overstruck on the last few lines on purpose, the machine works like a charm. Amazing finds! That Triumph, especially. 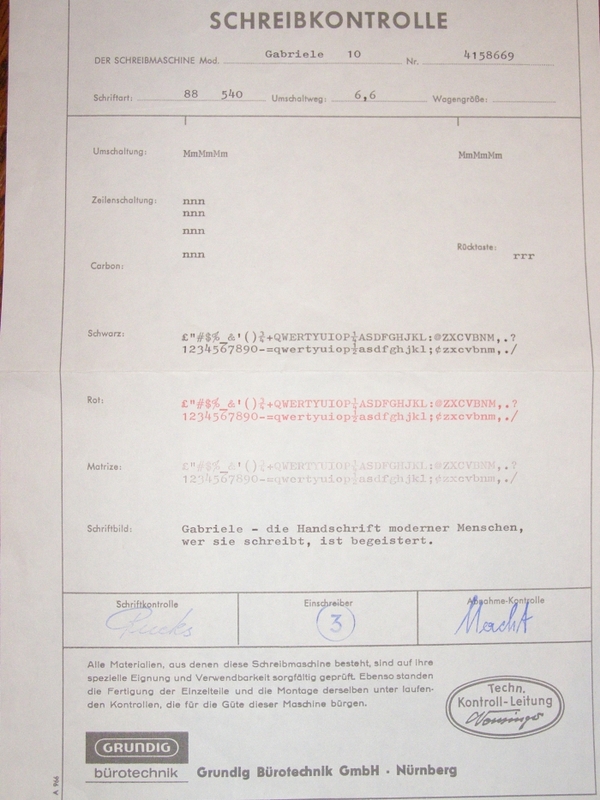 The paperwork is always a treat, and that it is in German makes it even better, especially because it has a QWERTY layout, and you would expect some English paperwork. The Hermes, as well, is pretty neat. I always look at adding machines when I see them, but have yet to buy one. 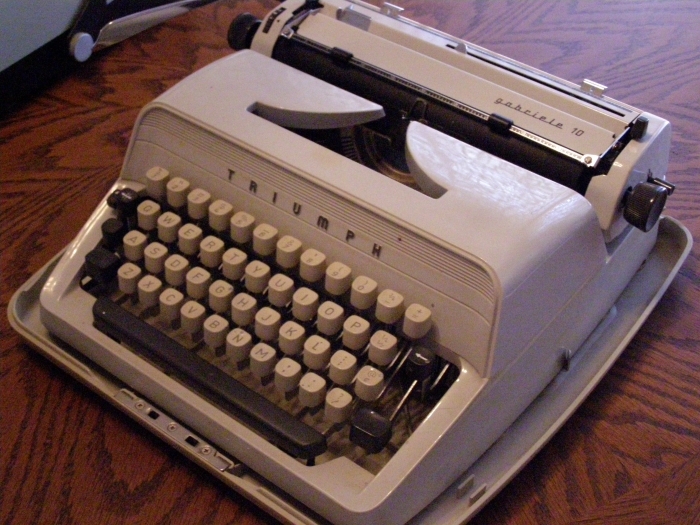 I like them, but aside from having no actual use for it, it would take up precious typewriter space...which is a big deal anymore! 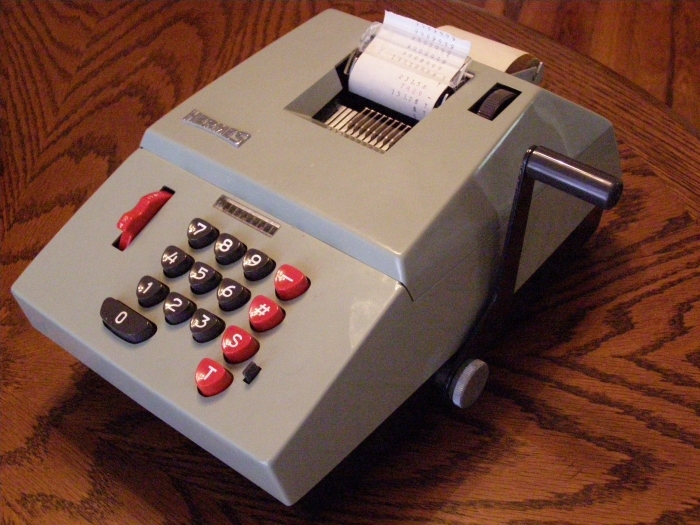 I won't buy another adding machine, just the one. Unless I find something really cool. I do believe that is what is commonly referred to as a score! 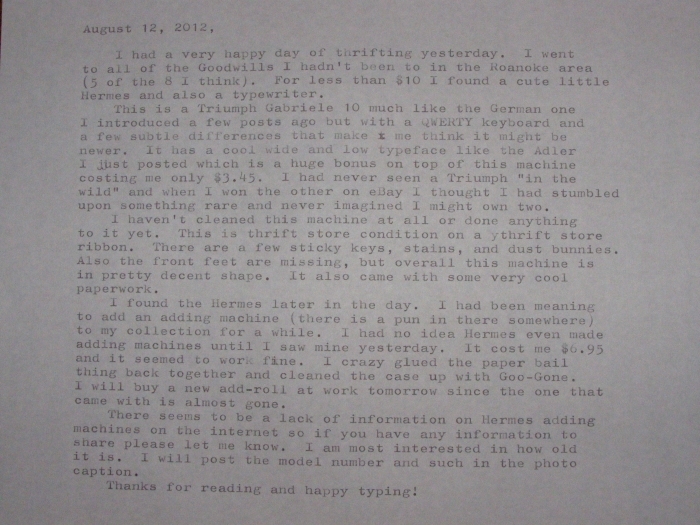 LOVE the paperwork too; that it has remained with the machine all this time is really wonderful! Congrats! 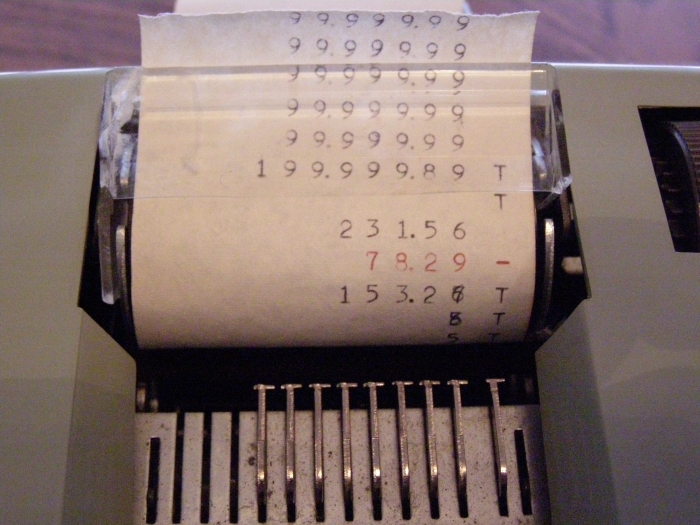 Just realized I said I got everything for less than $10, but had I used my new adding machine I would have noticed it was over $10. Still cheap though! Nice to see your Gabriele 10. As mentioned before, I have the Gabriele 25. Only difference I think is the ability on mine to use Tabs. Great deal on the purchases as well. Your prints pretty much just as nice as mine does. Lucky you got the Schreibkontrolle sheet with it. 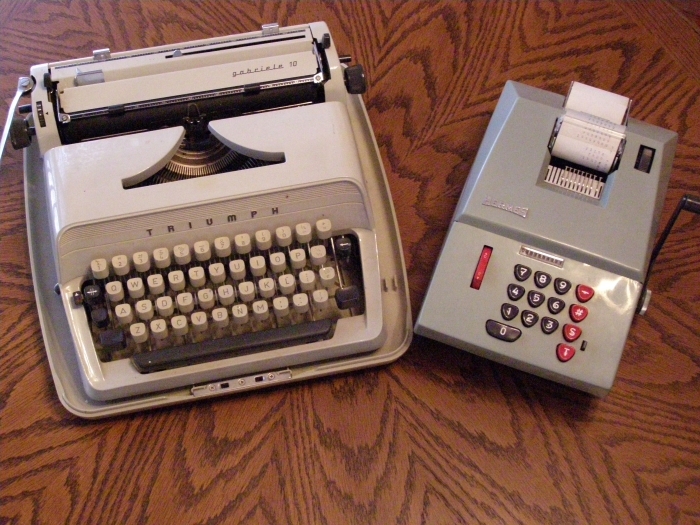 Mine had the same sheet AND the manual (in German, Spanish, Italian and Danish). I like the slogan they put at the end. Mine had that too. I'll have to check but my manual is in several languages which does not include German. I guess I have the export manual. I think the only difference between the 10 and 25 is the tabs, do you have the paper support with the built in scale or is that just the 35?